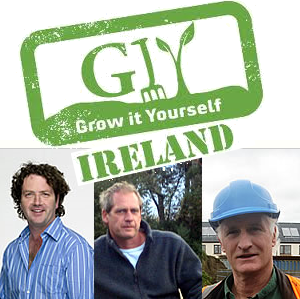 The GIY (Grow It Yourself) 2010 Conference takes place on Saturday 18th September in the Guinness Storehouse. The theme of this years event is ‘Together We Grow” which focuses on the great work being done by local producers all over the country. Through this process of championing local producers the GIY 2010 Conference aims to encourage people to grow their own food. The event will be opened by President Mary McAleese, who is an avid GIY enthusiast and throughout the day there will be a number of talks/demos from a cast of high profile names. Speakers at the event include Diarmuid Gavin (Garden Designer, TV Presenter and GIY Patron), Duncan Stewart (Environmentalist and presenter of Eco-Eye), Michael Kelly (Founder of GIY), myself (James Whelan Butchers and author of An Irish Butcher Shop), Klaus Laitenberger (Former Organic Centre Lecturer and author of Vegetables for the Irish Garden) and many more. I will be giving a workshop demonstration with J.P. Crowe (Crowesfarm) on sausage-making and how to butcher your own meat. We hope to post a video from the event early next week. Tickets are priced at €40 and include a hot buffet lunch and a tour of the Guinness Storehouse. 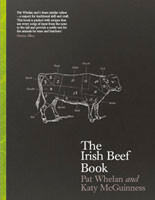 To book tickets now visit www.giyireland.com/shop/.